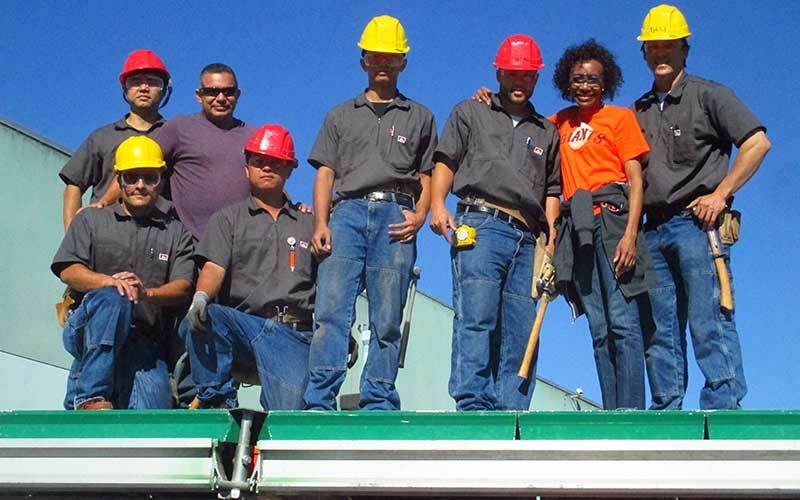 CityBuild Academy aims to meet the demands of the construction industry by providing comprehensive pre-apprenticeship and construction administration training to San Francisco residents. CityBuild began in 2006 as an effort to coordinate City-wide construction training and employment programs and is administered by OEWD in partnership with City College of San Francisco, various community non-profit organizations, labor unions, and industry employers. What does this Program Offer? Domicile documentation and attendance at one Information Session is required. Information Session schedule and details are listed on the CityBuild Flyer. Proof of San Francisco residency: utility bills, bank statements, public benefits letter may be accepted. Download CityBuild Flyer for more information. Proof of construction experience: proof of union membership, any construction related certifications, resume, etc. Meet with CityBuild Staff and bring your completed Certification Form and required proof documents during drop-in hours. Ability to lift at least 70 lbs. Already Signed up with CityBuild? Sign up for the Networking Eligibility List at the Mission Career Link Center, 3120 Mission Street during business hours or during drop-in hours with a CityBuild Employment Liaison. Please note it is required that CityBuild Academy clients meet with CityBuild Employment Liaisons at least once a month to remain active on the Networking Eligibility List. 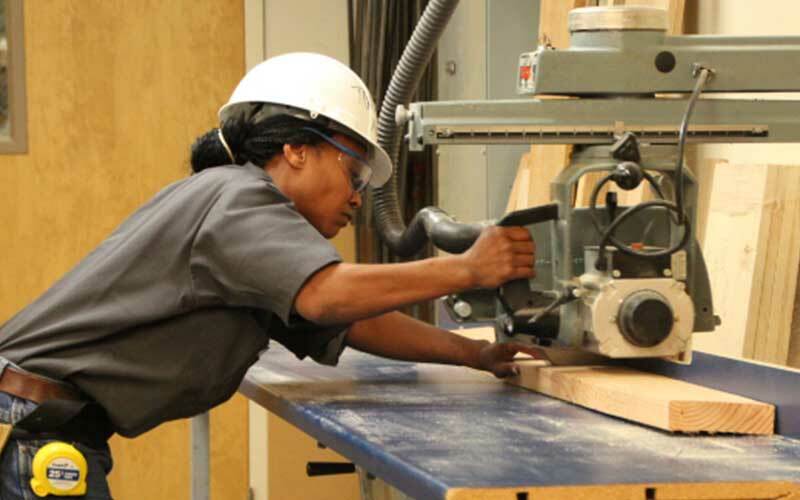 CityBuild Academy offers an 18-week pre-apprenticeship and construction skills training program at the City College of San Francisco, Evans Campus. Trainees can earn up to 15 college credits while learning foundational skills and knowledge to enter the construction trades and succeed as new apprentices. Trainees are given the opportunity to obtain construction-related certifications such as OSHA 10, Forklift, Skid Steer, CPR and First Aid. Several program instructors are construction industry specialists with years of field experience. In addition, CBA partners with Habitat for Humanity, and the San Francisco Fire Department’s Neighborhood Emergency Response Training to provide experience outside the classroom setting. 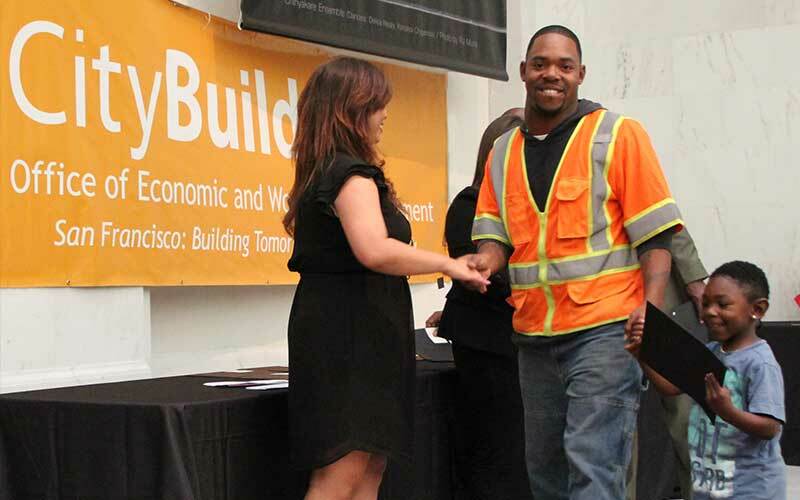 Since 2006, 874 San Francisco residents have graduated from CityBuild Academy and 753 graduates have secured employment in various construction trades. The Construction Administration and Professional Service Academy (CAPSA) is a semester-long program offered at the City College of San Francisco, Mission Campus. The program prepares San Francisco residents for entry-level careers as professional construction office administrators. Domicile documentation and attendance at one Information Session is required. Information Session schedule and details are listed on the . Proof of San Francisco residency: utility bills, bank statements, public benefits letter may be accepted. Download for more information. *Please note that each training track has its own eligiblity requirements. Sign up for the Networking Eligbility List at the Mission Career Link Center on 3120 Mission Street during business hours or during drop-in hours with a CityBuild Employment Liaison. *Please note: It is required that CityBuild Academy clients meet with CityBuild Employment Liaisons at least once a month to remain active on the Networking Eligibility List. The Construction Administration and Professional Service Academy (CAPSA) is a semester-long program offered at the City College of San Francisco, Mission Campus. The program prepares San Francisco residents for entry-level careers as professional construction office administrators. The bi-annual training is intensive and participants graduate with knowledge of the construction sequence of work, construction office accounting, construction project coordination and other professional skills. Since 2010, over 217 San Francisco residents have completed the program and over 130 graduates have been placed in administrative positions. The CityBuild Women's Mentorship Program is a volunteer program that connects women construction leaders with experienced professionals and student-mentors who offer a myriad of valuable resources: professional guidance; peer support; life-skills coaching; networking opportunities; and access to community resources. Authorized to work in the U.S.
What careers does this program prepare me for? The CityBuild Women's Mentorship Program is a volunteer program that connects women construction leaders with experienced professionals and student-mentors who offer a myriad of valuable resources: professional guidance; peer support; life-skills coaching; networking opportunities; and access to community resources. The program encourages women in their early careers, as well as more epxerienced professionals, to discover their leadership potential, enhance professional development skills, and provide a strong support network. Mentoring is conducted through one-on-one sessions, group interactions, emails, phone calls, workshops, speaker events, and through the use of other online resources. For more information, please contact Nara Babakhanyan at Nara.Babakhanyan@sfgov.org or by calling (415)-701-4878. To learn more about The National Association of Women in Construction (NAWIC) click here or visit www.nawic.org/nawic/default.asp.